“Rather than only Glamz I, I should have also launched II, III, and IV. I know this will be sold. Before Ramadan, I will be out of this. Within one month, I expect everything will be taken by investors,” Rizwan Sajan said during the launch. The Dh300 million, 418-unit Glamz project, will be built next to its existing Starz by Danube project in Al Furjan. He said that he wanted to stick to the company’s existing plan of only buying plots for schemes and launching new projects once construction work on the previous development is under way. Construction work on Glamz should begin “within two to three months”, aid the company’s general manager, Atif Rahman, with the project due for completion by September 2018. Danube Properties now has a development portfolio worth Dh1.8 billion, consisting of 1,711 small flats and town houses – almost all of these have been sold, but some units remain available within Dreamz and Glitz III. Mr Sajan said that 85 per cent had gone to end-users looking to own rather than rent properties, but that some investors had taken a full floor containing nine studios, five one-bed flats and a pair of two-beds – for Dh8.5m. He said that Danube Properties limits the amount bought by single investors in schemes such as Glamz to one floor, but said that these can bring in about Dh900,000 a year – a yield of 10 to 11 per cent. He is in negotiations for another plot, which he hopes to secure by the end of the month. This will be used “to launch a project before Cityscape, and then before December we will hopefully have another one”. Mr Rahman said that it will support the Glamz launch with 2,306 outdoor advertisements, plus advertisements on 11 television stations and seven radio stations. 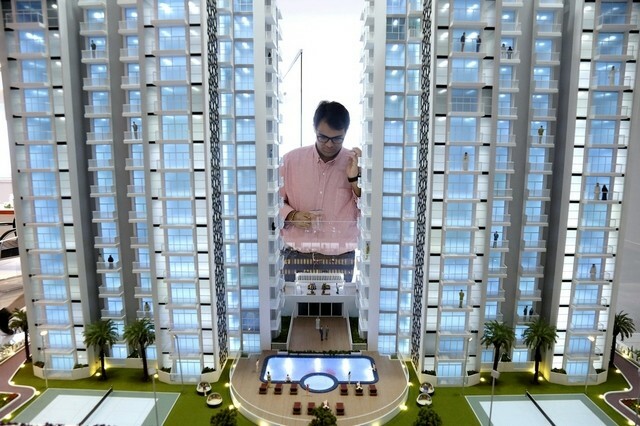 Many of these will feature the Bollywood actress Shilpa Shetty and focus on convincing renters to switch to owning, as well as a payment plan that requires a 25 per cent deposit within six weeks and a further 1 per cent down payment each month. Speaking to The National at the recent International Property Show, Abdul Basset Betraoui, the managing director of property consultancy Land Sterling, said that he felt Danube Properties “have got it spot on” when it comes to marketing its schemes, including its pricing and payment plan offer.